Day 3 of the $10,000 Pot-Limit Hold’em Championship began with 27 hopefuls looking to capture a coveted World Series of Poker bracelet and the $573,456 first-place prize. The eliminations came at a rapid pace, the field reducing itself from 27 to the final table in just five hours. 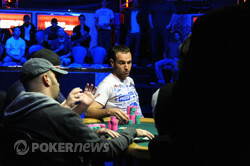 After another five hours, it was Amir Lehavot who emerged victorious to capture the prize and his first WSOP bracelet. Lehavot’s path to victory did not come easy as a number of notables stood in his way at the beginning of the day. Nenad Medic (25th- $20,129), Jennifer Tilly (21st- $20,129), Mike Matusow (20th- $20,129), Owen Crowe (15th- 32,183), Robert Mizrachi (12th- $40,890), and Toby Lewis (11th- $40,890) were just a few of the big names that were eliminated in the early stages of Day 3. The final table action was no less rapid than the preceding exploits. Michael Benvenuti was the first to go after his failed to improve against Stephen “Stevie444” Chidwick’s on a board reading . A short time later, both McLean Karr and Eric Cloutier hit the rails in the eighth and seventh-place spots respectively. Nicolas Levi was the next out the door in sixth place after his failed to hold against the of Lehavot as the board ran out . It was during five-handed play that one of the more brutal hands of the day developed. It began when Jarred Solomon raised to 70,000 under the gun and Tommy Vinas decided to look him up from the button. Solomon led right out with a 75,000 bet on the flop, which Vinas raised to 275,000. Solomon thought for a moment before announcing, "Pot." The three-bet was for a whopping 735,000! Vinas didn't take long before moving all in for a couple hundred thousand more and Solomon made the call. It was a brutal set-over-set flop that saw Vinas on the bad end of things. "Spade, spade," Vinas pleaded as he looked to his rail in resignation. The turn ensured that there would be no chop. It was down to the river for Vinas, who needed the case seven to stay alive. The was close, but not quite what he needed. 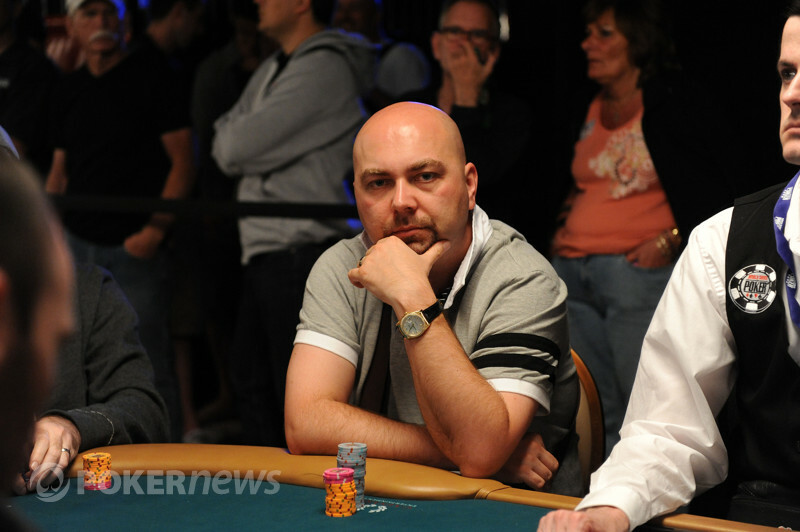 Vinas was eliminated in fifth place and will take home $150,453 for his efforts. The next to go was Chidwick in fourth place followed out the door just a few hands later by Sam Stein in third place, leaving Lehavot (5,415,000) to do heads-up battle against Solomon (2,160,000). It was a back and forth affair as Solomon did his best to put himself back in contention; however, Lehavot proved too much to overcome. In the final hand, Solomon's could not pull ahead of Lehavot's and he finished as our runner-up. Congratulations to Amir Lehavot on taking down the $10,000 Pot-Limit Hold’em Championship. 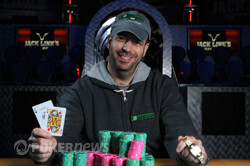 Not a bad showing for the man who won $421,680 for a fourth-place finish back in March at the World Poker Tour’s L.A. Poker Classic. While Event #7 may have come to an end, there is still plenty of poker action to be had. As always, the PokerNews Live Reporting Team will be here to bring you all the action and eliminations from the 2011 WSOP. Jarred Solomon raised to 100,000 on the button and Amir Lehavot three-bet to 265,000 from the big blind. Solomon four-bet the pot and the cards were on their backs shortly thereafter. Solomon was in a bad spot and while the flop gave Lehavot trips, Solomon was still live with four outs to make a straight. However, the turn sealed the deal for Lehavot. The river was merely a formality, ending Solomon's run in second place for $354,460. Amire Lehavot opened for 125,000 on the button and Jarred Solomon raised it to 325,000. Lehavot then reraised to 800,000 and Solomon called. Solomon checked and Lehavot bet the pot - 1.6 million. Solomon rechecked his hole cards and the folded. Lehavot continues to keep the pressure on Solomon in this heads up battle. Jarred Solomon opened to 80,000 on the button and Amir Lehavot re-raised to 200,000 in the big blind. Solomon called and a flop followed. Both checked to see the turn. A check from Lehavot led to a bet of 240,000 from Solomon, which Lehavot called. The hit the river and Lehavot checked once again. Solomon fired 700,000 and after a few moments, Lehavot called. Solomon tabled for a flush, winning the pot and upping his stack to 2,580,000. Jarred Solomon raised to 80,000 from the button and was met with a raise from Amir Lehavot in the big blind. Solomon decided this was the time and moved all in for 700,000 total and Lehavot made the call. Solomon was in great shape to double and was looking to dodge a seven. He managed to do so as the board ran out , giving him a stack of 1.4 million. Jarred Solomon opened to 80,000 from the button and Lehavot called. The flop came and both players checked. The turn came the and Lehavot bet 105,000. Solomon called and the came on the river. Lehavot checked and Solomon bet 350,000. Lehavot called and the hands were shown. Lehavot grabbed another large pot with a better two-pair.